To conclude the Trensmat Sonic Attack series, friends of Rocket, Mugstar, have brainstormed this tribute to Hawkwind compilation CD, further manipulating Johnnyo's original homage to Barney Bubbles artwork. (Thanks to Jason for our copies). 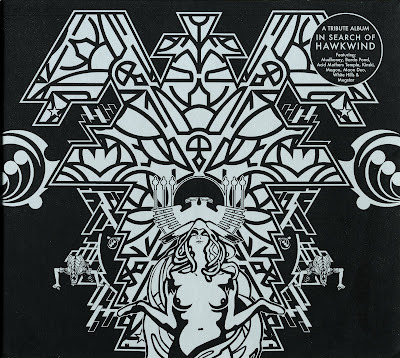 Critical MASS release this tribute to Hawkwind – the pre-eminent space-rock-punks who emerged in the late sixties, scorched a trail through the seventies and continue their voyage in various forms to the present day. An impressive array of bands pay homage –Mudhoney, Bardo Pond, Acid Mothers Temple, Kinski, Magoo, Moon Duo, White Hills and Mugstar. This CD release is the culmination of a long running project initiated by Mugstar in 2005. Originally conceived as a split 7”, or a double 7” package featuring two or four bands. The format grew over time to album length due to the fantastic response and enthusiasm from artists from around the globe eager to be involved and contribute. First up were Seattle’s Kinski and from Japan - Acid Mothers Temple, performing Master Of The Universe and Brainstorm respectively. From Philadelphia, Bardo Pond recorded Lord Of Light. Then Mudhoney’s version of Urban Guerilla - originally recorded as a session track for the late great John Peel - was re-discovered, Mudhoney were immediately excited to have the track included. At this point, Trensmat Records, hearing of the project, mentioned that they had New York’s White Hills lining up a cover of Be Yourself for a 7” vinyl release and that it would be an excellent addition to this tribute. Trensmat then also offered to release a set of the tracks recorded so far on vinyl. This was quickly put together (with edited versions to fit the 7” format) and released as the very limited and much sought after “Sonic Attack Trilogy”. Wooden Shjips offshoot Moon Duo of San Francisco then added Hurry On Sundown. Meanwhile, back in the UK, Magoo recorded Space Is Deep. Mugstar themselves perform Born To Go and Paradox. Both recorded at Dave Anderson’s Foel Studios in Mid Wales - Dave, of course, being Hawkwind’s bass player on In Search Of Space in the early seventies. Mugstar recorded two tracks with the intention of using the most successful one. However, pleased with the way they both worked out, decided to include them both. 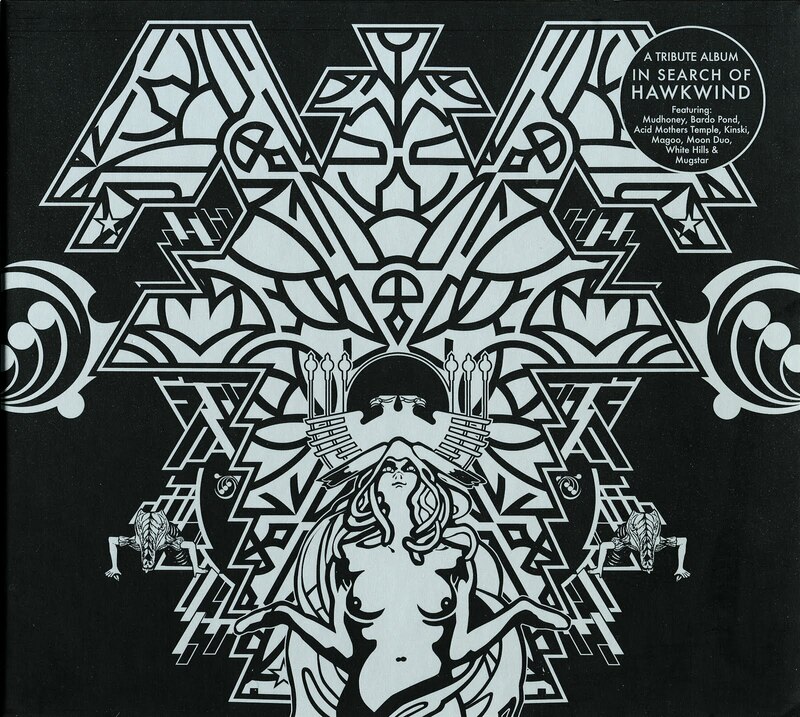 Interestingly, the contributors were originally asked simply to record a Hawkwind track of their choice, yet all nine selections are drawn from Hawkwind’s stunning first five releases – Hawkwind, In Search Of Space, Doremi Fasol Latido, Space Ritual and Hall Of The Mountain Grill, - a classic era. So, finally here it is, beautifully presented in silver and black digipak, the full-length versions of all the recordings brought together to deliver over an hours worth of super-charged space-rock assault.